Happy Friday folks... take some time to read these great links this week! one hundred inspirations recreates this fun Michelle Williams look. I am absolutely loving her bright blue pants and white blazer! live a lot is deciding on the perfect dress for her bridal shower. Pop on by and see here selections and put in your two cents! 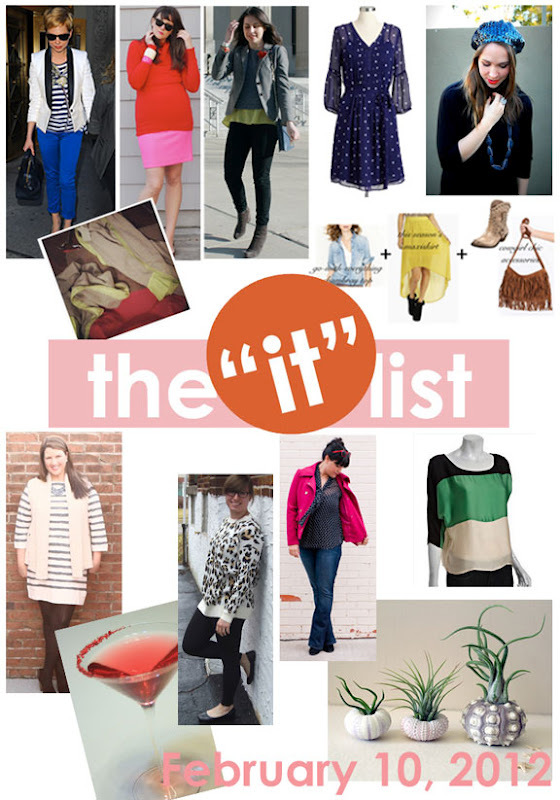 the IT list is produced weekly by Jill of good life, for more information - click here! ooh the cobalt pants. In love. Gonna have to check these out! Spring is coming haha! Great picks, Jessica! I love all the bright colors you highlighted. What a great list of blogs. I'm excited to check all of these ladies out! ahoy! old navy shoes ahead!